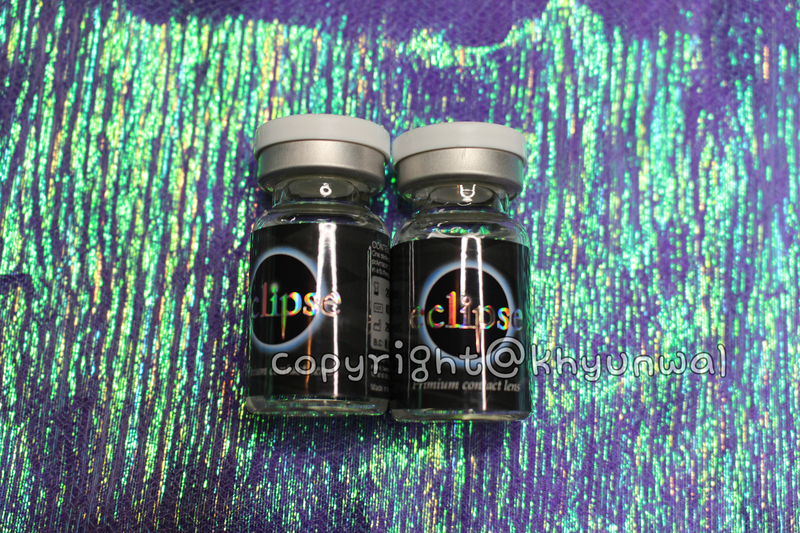 So be sure to get your Halloween necessities to get this free goodies, while stock last! 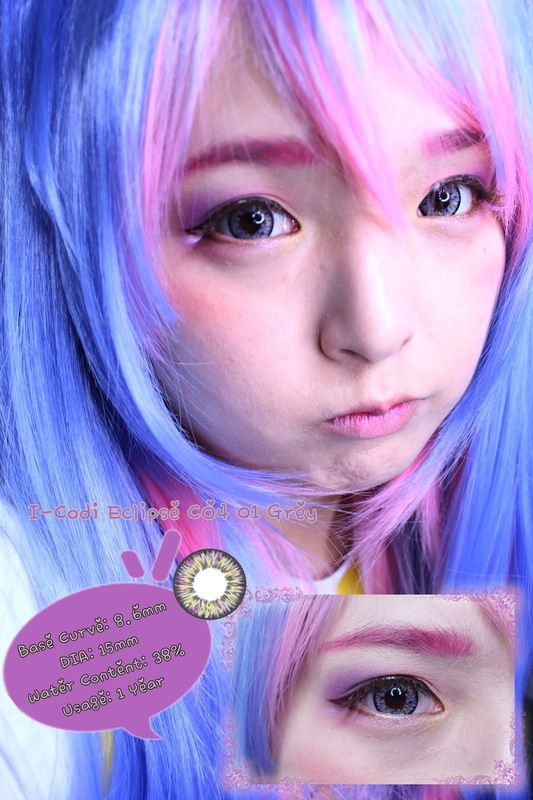 And don't forget to check out my giveaway of a free pair of circle lenses for 2 lucky winners for this Halloween!! 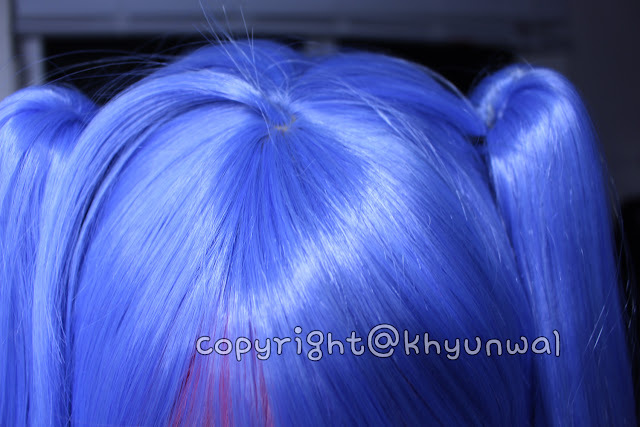 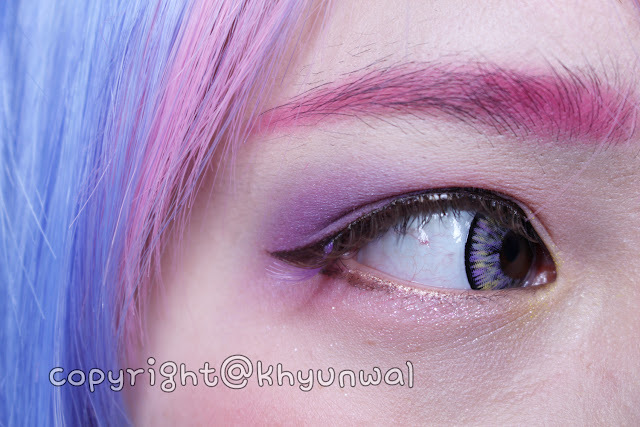 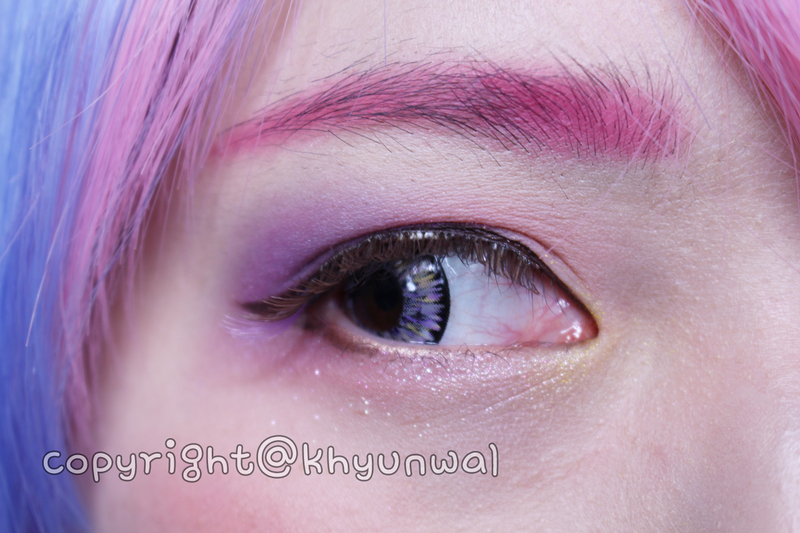 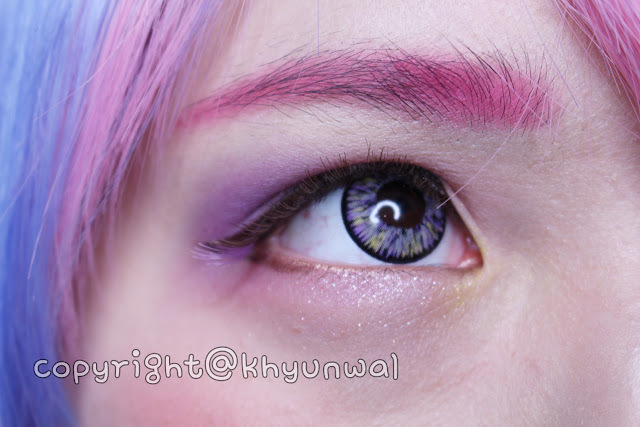 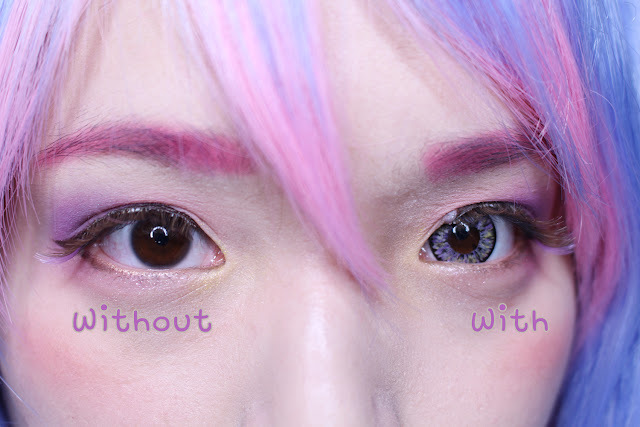 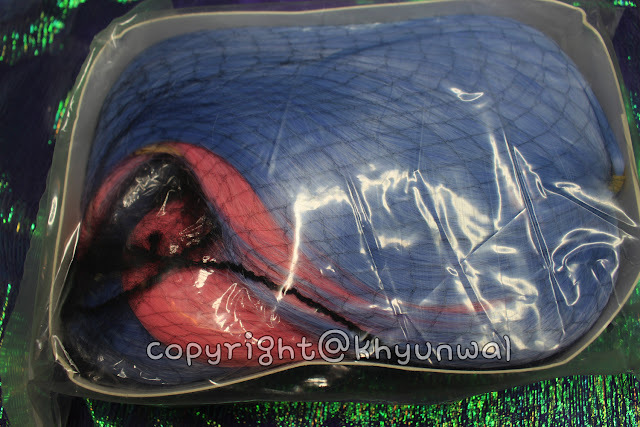 Comfort, I don't know if it is just me, but usually when I look at color contacts with lots of colors in, it makes me worry about "what if it's uncomfortable"
But when I'm wearing different color wig, it gives almost purplish tone to it rather than being grey!! 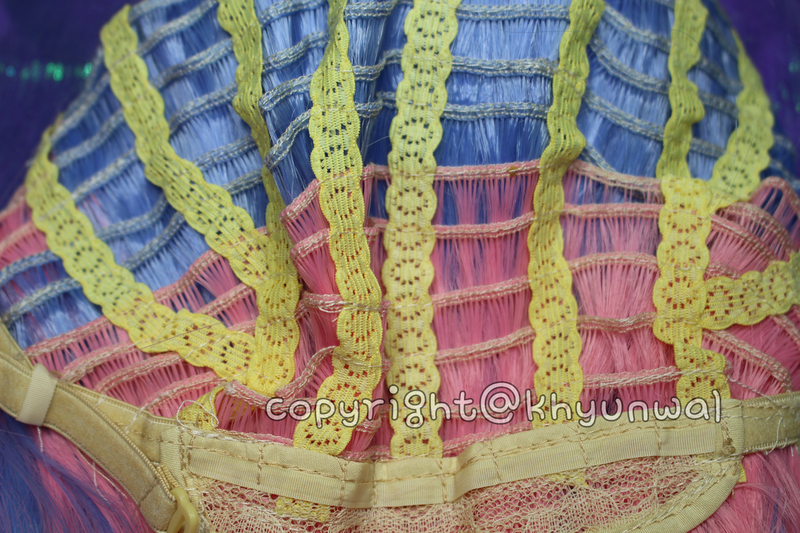 I think the yellow tone that is mixed in the print some how affects the whole color scheme of the lens!! 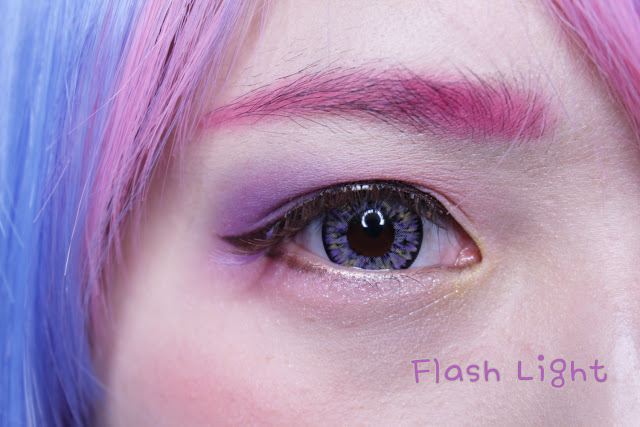 If you want some new colors to try out, this is something fun to try out!! Since I did not know the diameter of it, when I tried it on, it made my eyes to appear so huge!! 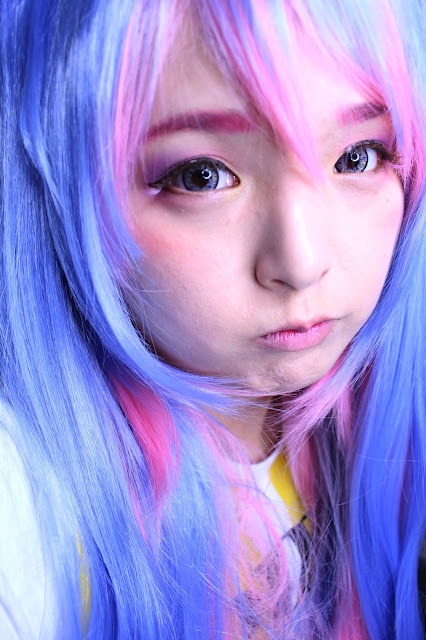 Almost felt like my eyes doubled in size!! Overall, this lens was very satisfying choice for myself, and it actually became my daily lens for work! 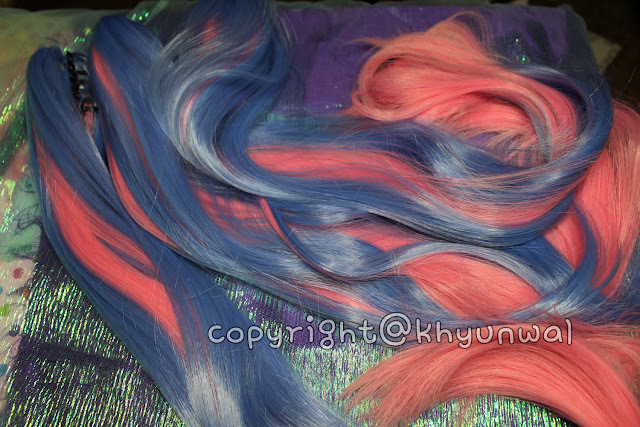 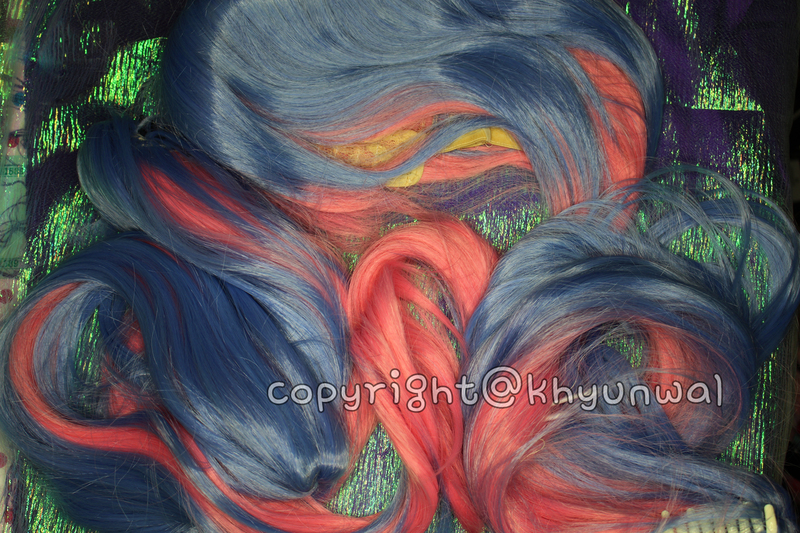 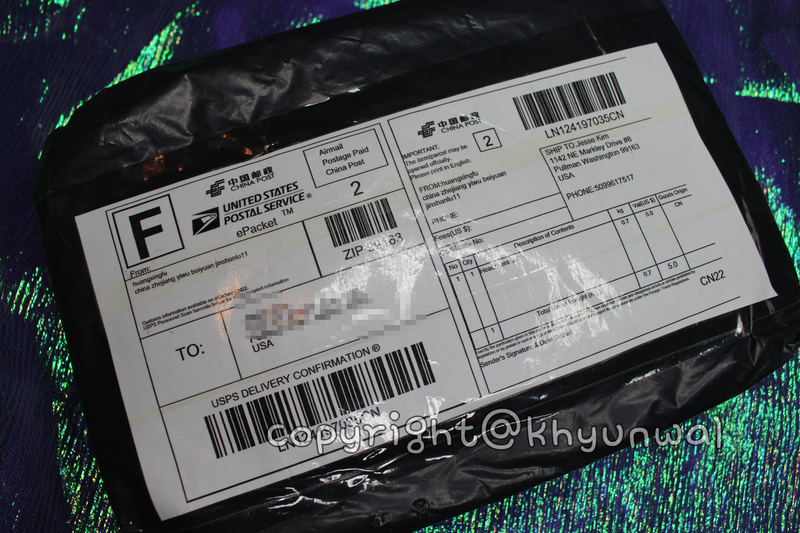 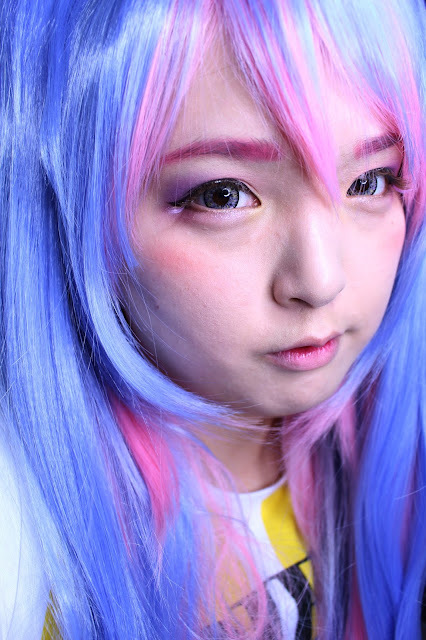 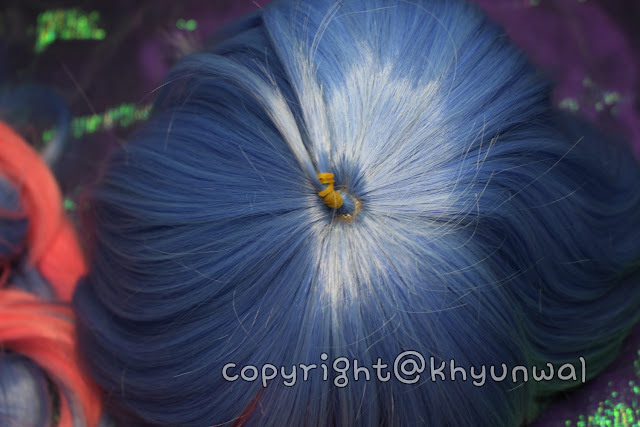 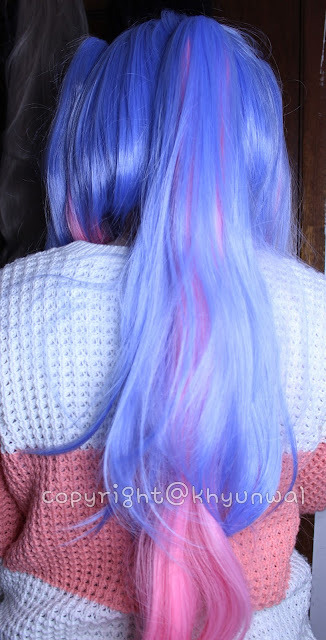 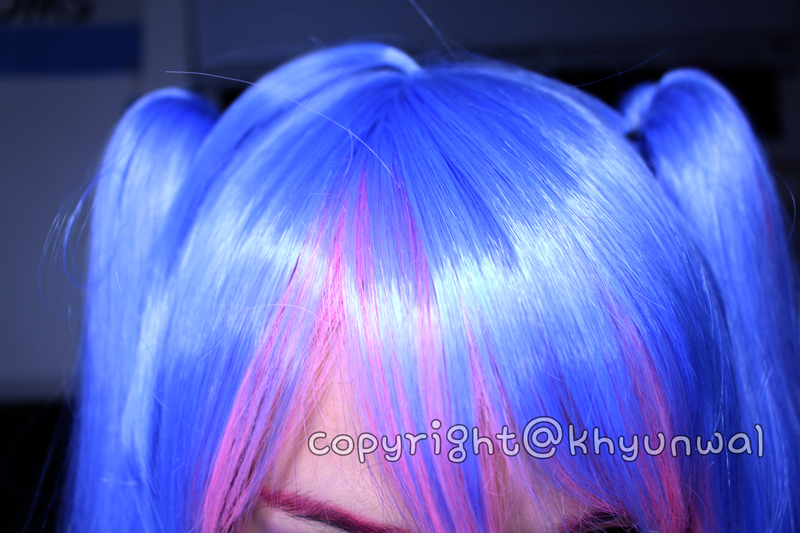 Now that we have explored this crazy colorful lens, let's take a look at colorful wig I got from them! 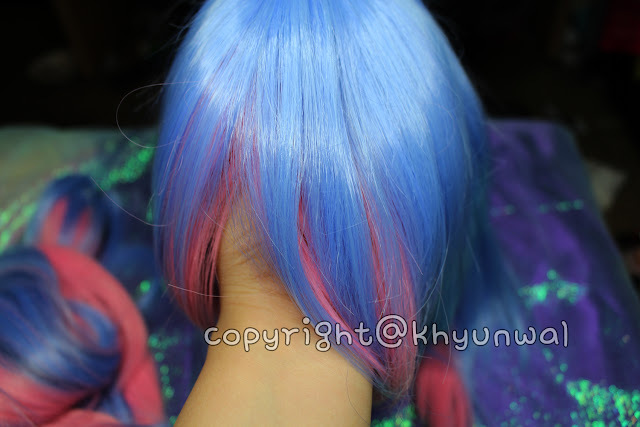 Now this wig was quite interesting for me, I think because I have never owned long length wig with three different clip ons that needs to go on before!! So I really love the how soft this wig is!! 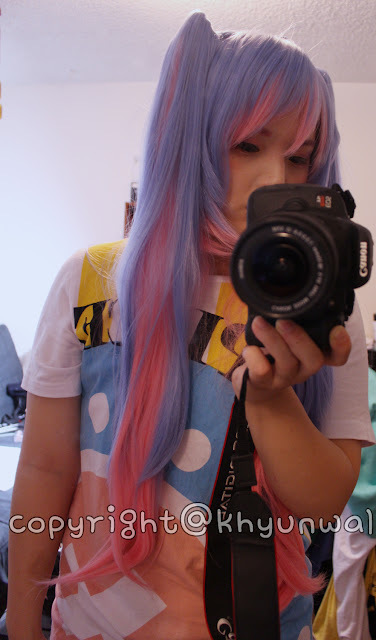 Other than that, I didn't had much trouble with tangles of keeping it away from sticking to my face, which has been a problem with some longer length wigs, so I really enjoyed it!! 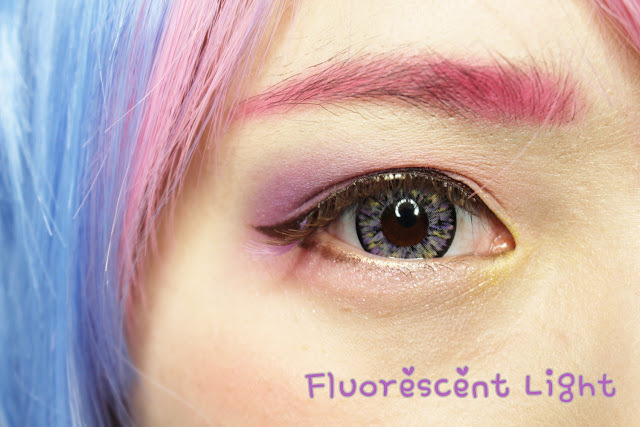 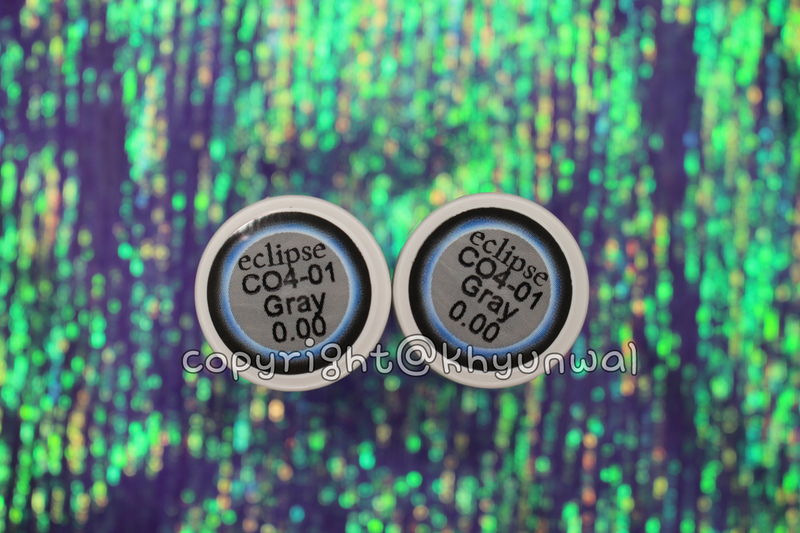 Really beautiful circle lenses! The colour is vibrant and amazing! 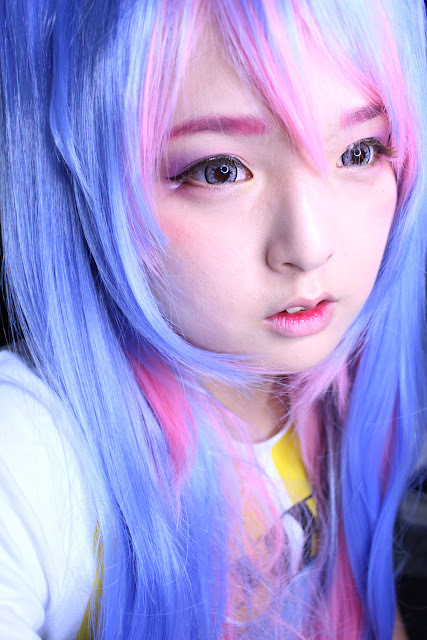 Love how they look on you with this makeup and wig *-* really cute!